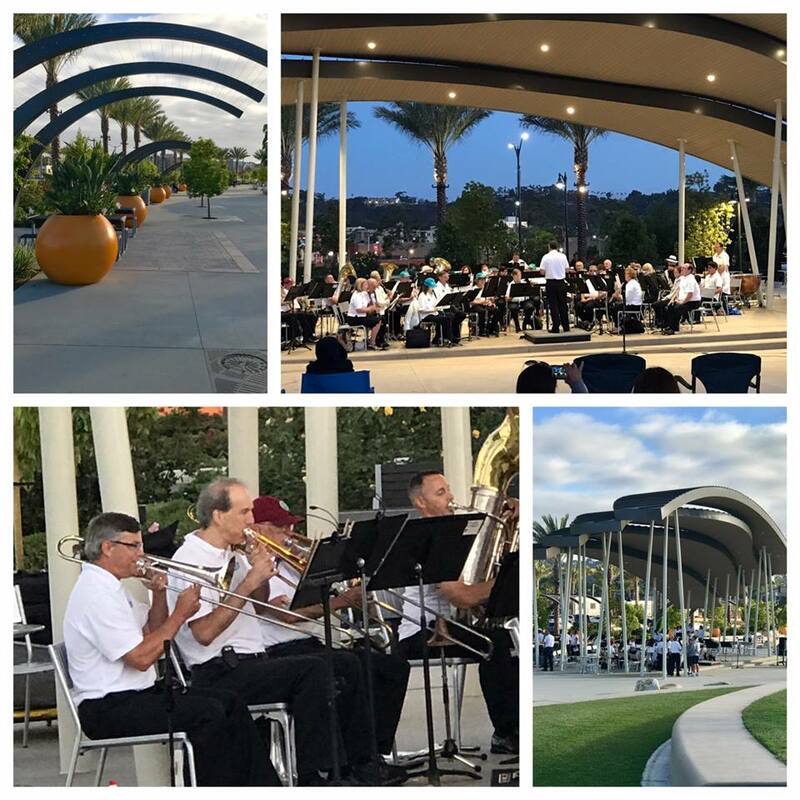 Founded in 1972, the Kearny Mesa Concert Band is the oldest, continuously playing community band in San Diego County. 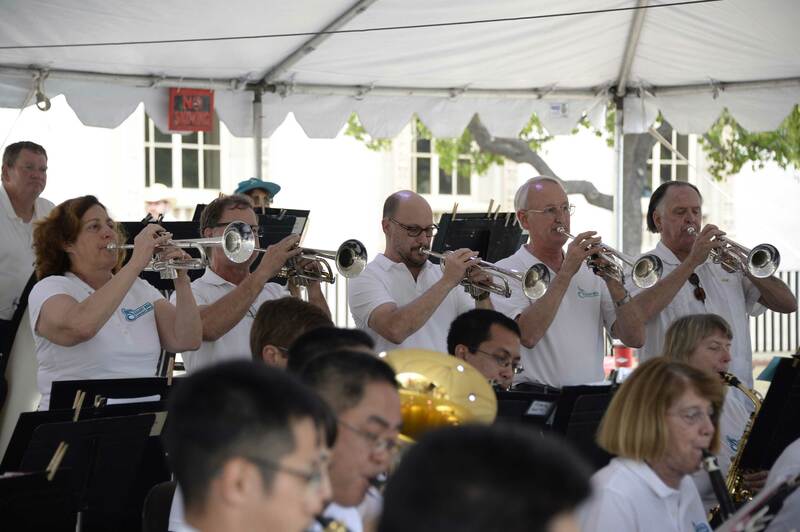 The band was established as a class in the music department at San Diego Mesa College by Dr. Ellis Benson, then president of the school and a trumpet player in the band. 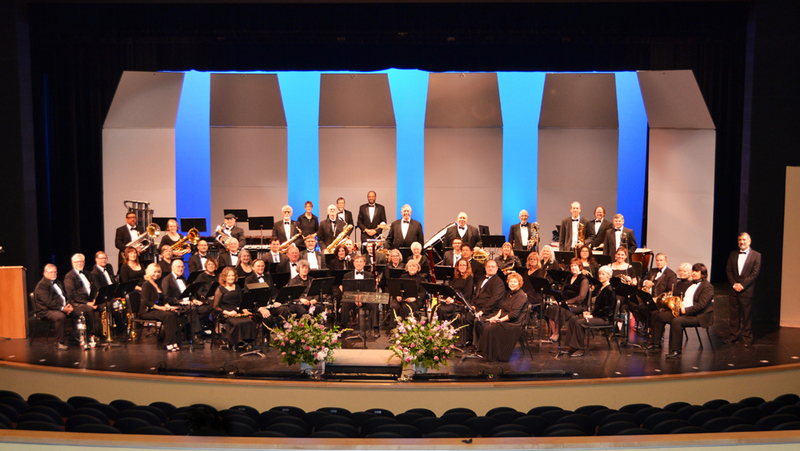 The band was created as a showcase for older, talented, amateur, and professional musicians. William Swegles, a music faculty member, was the band’s first music director, succeeded by Robert Olisar, a local musician. Each had short terms until Robert McKewen became the third music director from 1981-1992. McKewen led the band through a transition in the mid-1980s from a Mesa College music class to a continuing education class. 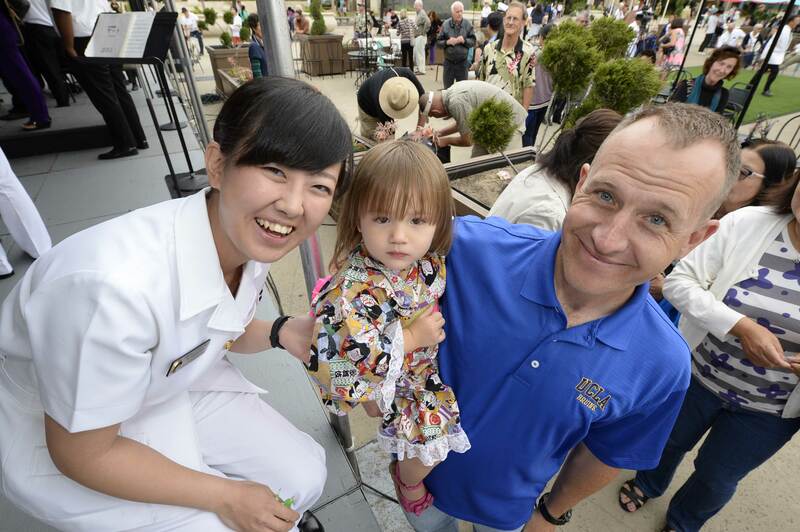 James Romeo played in the band for a year under McKewen before becoming the fourth music director from 1992-2016. 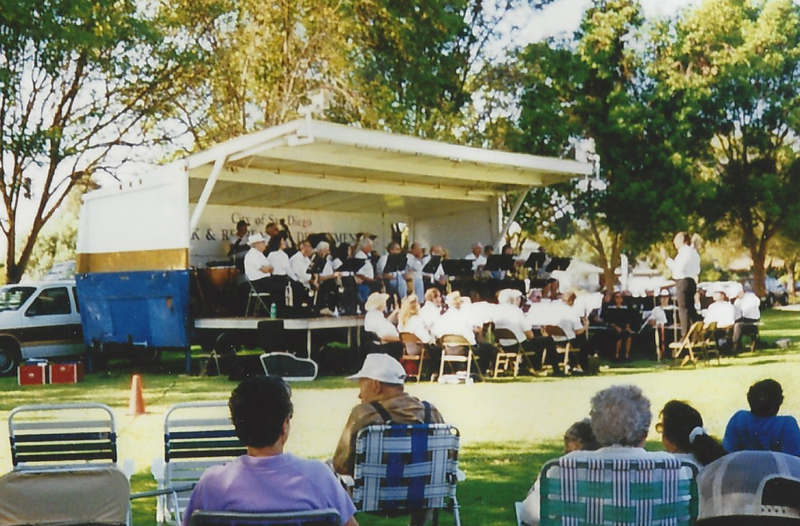 The name, Kearny Mesa Concert Band, was adopted early in Romeo’s tenure. 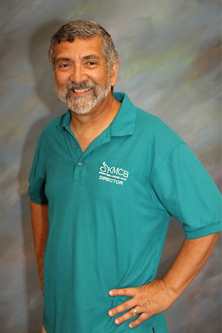 Richard Almanza took over as fifth music director in 2016. 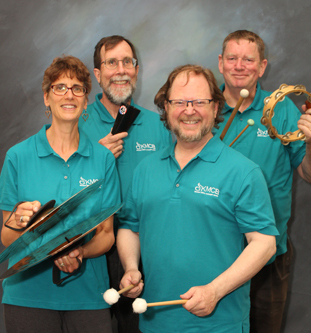 Today the band is a tuition free continuing education class of the San Diego Community College District which meets on the campus of Mesa College in Building “C”, room 119. 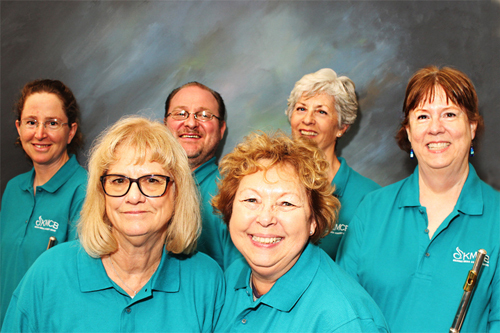 The class meets on Tuesdays from 7:00 to 9:30 p.m. during fall, spring, and summer terms. Although musicians of all ages are active in the band, the average age is over 55. 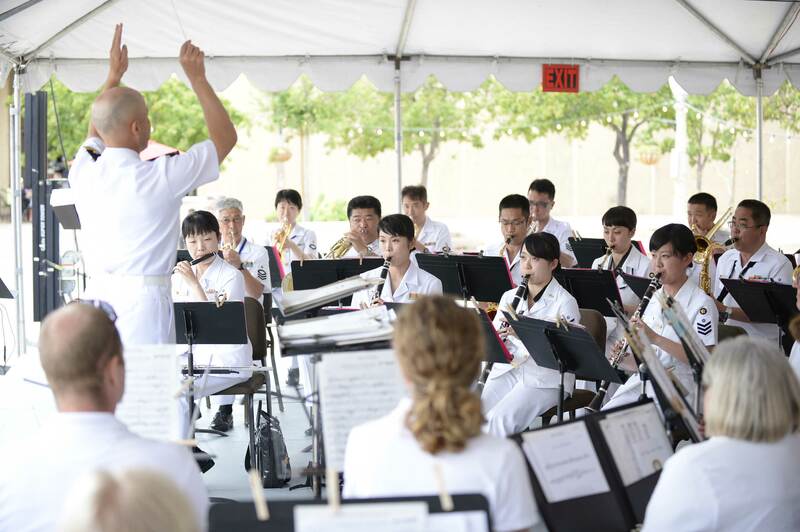 The band does not require a formal audition to participate, only a desire to play great music with new friends. 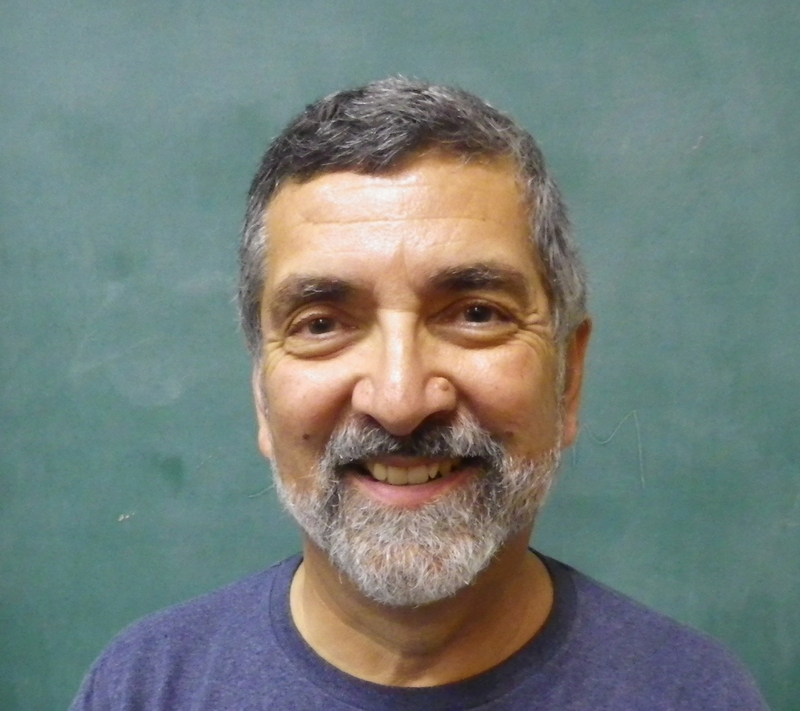 Richard Almanza, a graduate of California State University at Long Beach, has been an Instrumental Music teacher for over 36 years, predominantly in San Diego County. 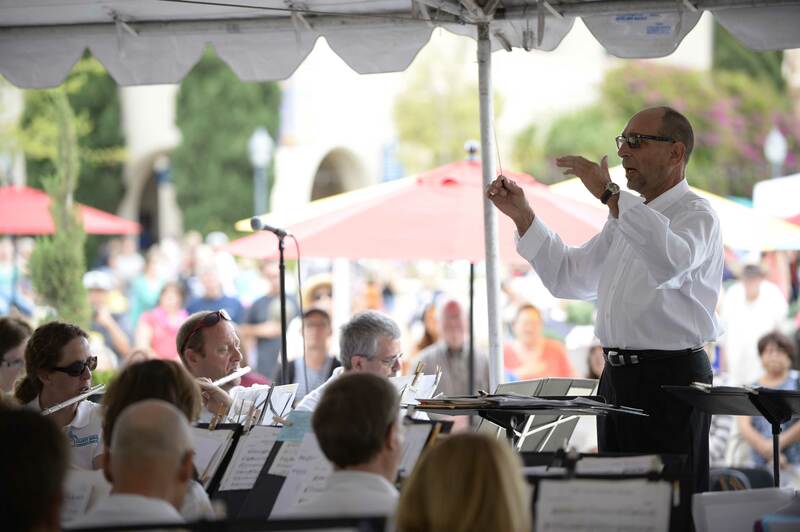 He is a member of and adjudicator for the Southern California School Band and Orchestra Association (SCSBOA), and he is also a member of the California Music Educators Association (CMEA). 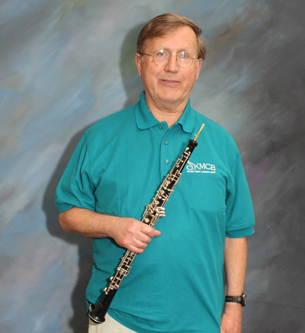 He has taught at all levels of music education (K-12 and college). 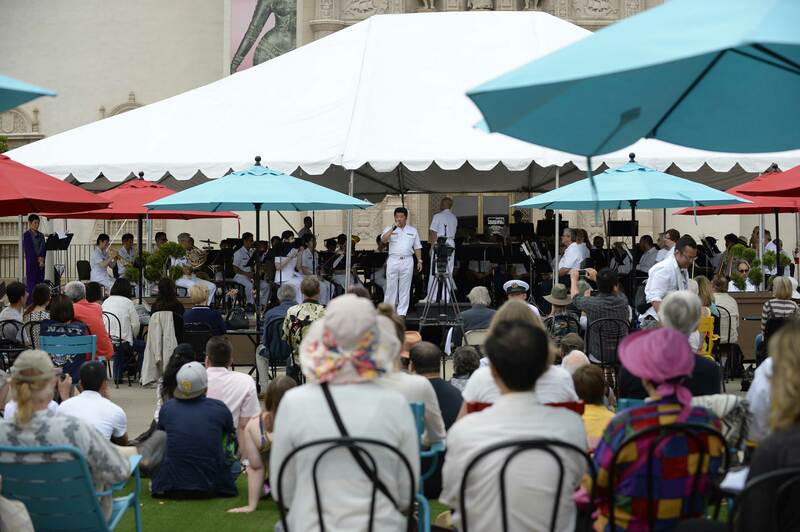 Almanza has been a clinician as well as guest conductor for bands throughout Southern California. 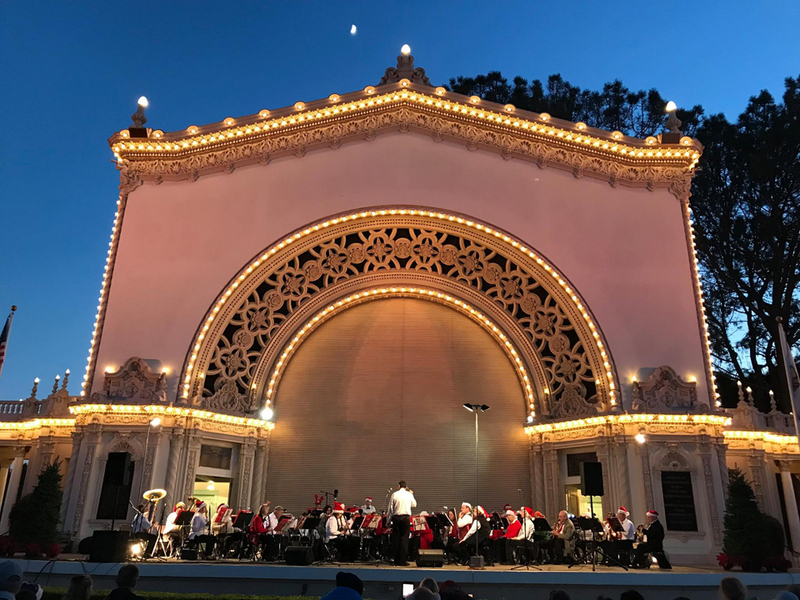 He has been band manager for many District Honor Bands and Orchestras as well as band manager for the CMEA Honor Band, and he has been host to Band and Orchestra Festivals, Jazz Band Festivals, and Solo and Ensemble Festivals for over 25 years. 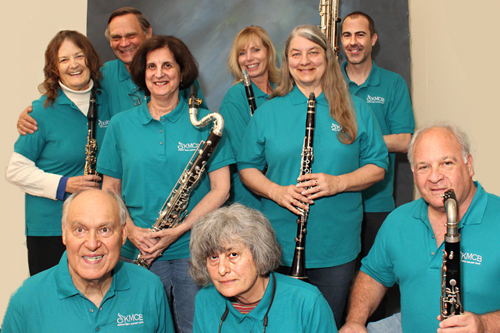 Clarinet: Joshua Bardin, John Boaz, Franklin Borkat, Vincent Broman, Andy Concors, *Jonathan Crick, Lynne Harrington-Crick, Brian Hess, Francoise Keefe, Cindy May, Elaine Ragazzo, Jay Sacks, Bryant Smith, Stephen Smith, Sandra Wagner, and Betty Zaleski. 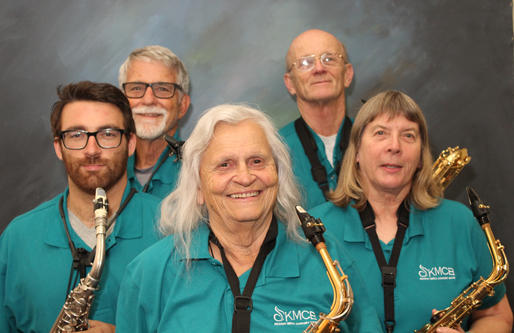 Saxophone: Joel Feinstein, Arthur Gopak, Lee Howeth, Evelyn McKinney, Maureen Minder, Bill Munz, *Buzz Naughton, and Lisa Roudebush. 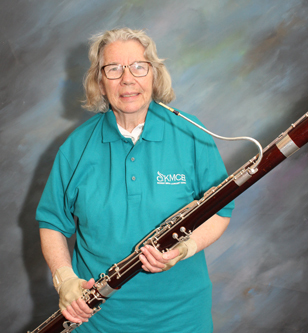 Bassoon: *Judy Edelblute, Heather Jenkins, and Dee Wood. 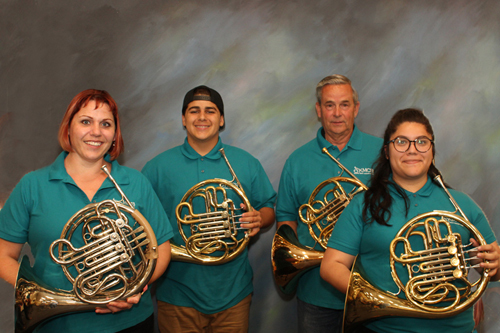 French Horn: Janet Cherif, Bruce Coggins, *Jim Hane, Ashley Harris, Wayne Kitt, Amanda Marriage, Jonathan Muzika, Monica Palmer, and Sandra Perez. Flute/Piccolo: Andrea Ashbaugh, Ellizar Abalos, Kim Darden, *Marc Fulbright, Stacy Graves, Kate Hustosky, Regis Komperda, Kate Leonard, Renee Maurer, Debbie Olson, Chris Shannon, Connie Stephenson, Kathy Wellbrock, and Cindy Wislofsky. 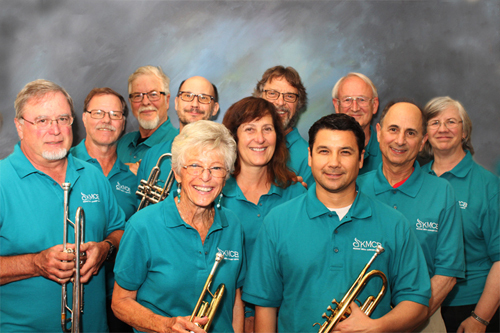 Cornet/Trumpet: Marc Brandi, *Ed Hekman, Chuck Hukari, Stephan Lapic, Gregg Lichtenstein, David Mather, Dennis McKinley, Douglas Mooney, Gilbert Pablo, Scott Retzak, Kathy Robb, Tanya Wallace, Dan Wolford, and Mary Wolford. 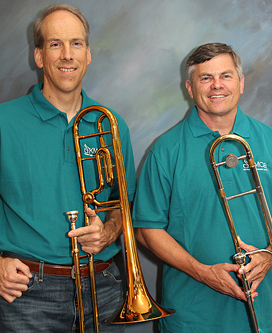 Trombone: Mark Ashbaugh, Bob Brislin, *Jack Close, Angel Del Rio, Abel Gongora, Pete Riley, and Jane Yeatts. 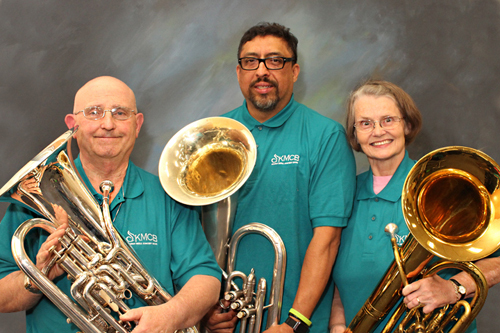 Baritone/Euphonium: *Lon Cumberworth, Dean Jones, Jaime Mariscal, Tara Nijhowne, and Bobbie Svenson. 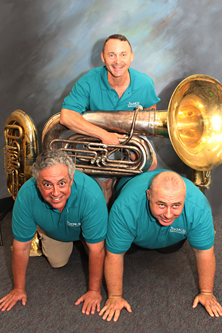 Tuba: Chuck Cuccaro, John Moug, Joe Muzika, and *Matt Preuss. Percussion: Richard DeRosset, Katiana Lopez, Domi La Russa PoliCastro, Darryl Redwine, Kathryn Trainor, and *Matt Trainor. Music Director and Conductor: Richard Almanza. 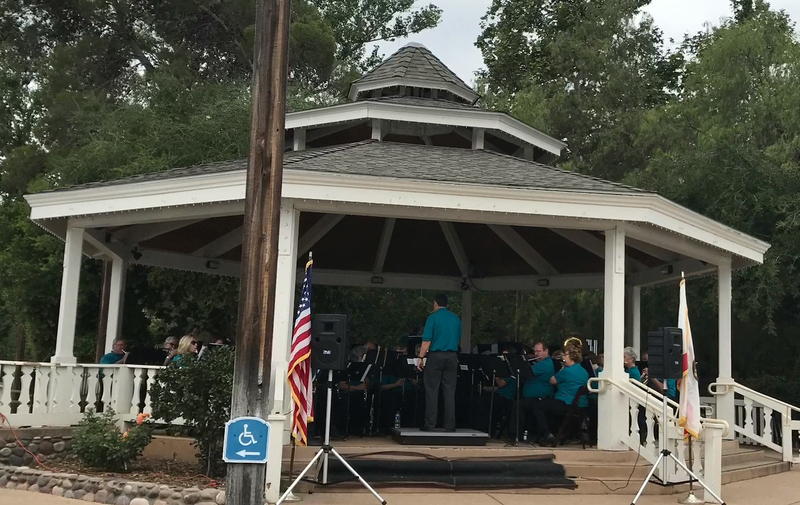 Click here for a Henry Mancini medley video from the August 15, 2017 concert at Civitas Park. Click here for a Glenn Miller medley video from this concert. 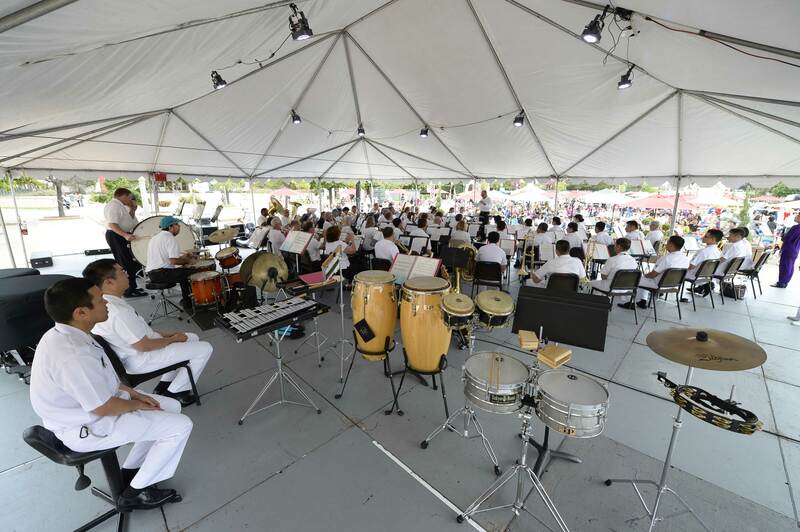 Click here to read A Brief History of Community Bands in San Diego. Santa Claus is Coming to Town, . Star of Wonder, arranged by James Swearingen and Johhny Marks, Rudolph's Christmas Concert, arranged by Eric Osterling . Gabriel's Oboe, composed by Enio Morriconi and arranged by our band member, Joe FurFuro . Samuel Ward, America, The Beautiful, . Music Department, San Diego Mesa College, with thanks for the use of their facilities for our band rehearsals.